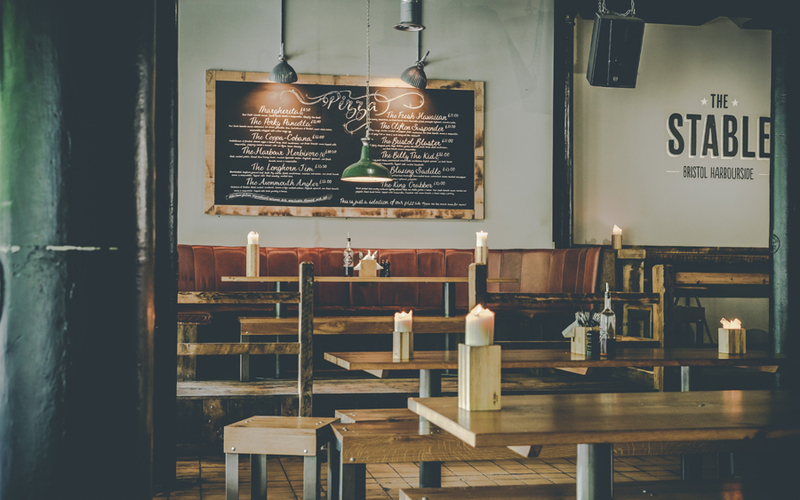 As I move more towards a completely vegan diet, it’s reassuring to see an increasing number of restaurants and cafés following in the footsteps of eateries like The Stable in offering suitable dishes on their menus. 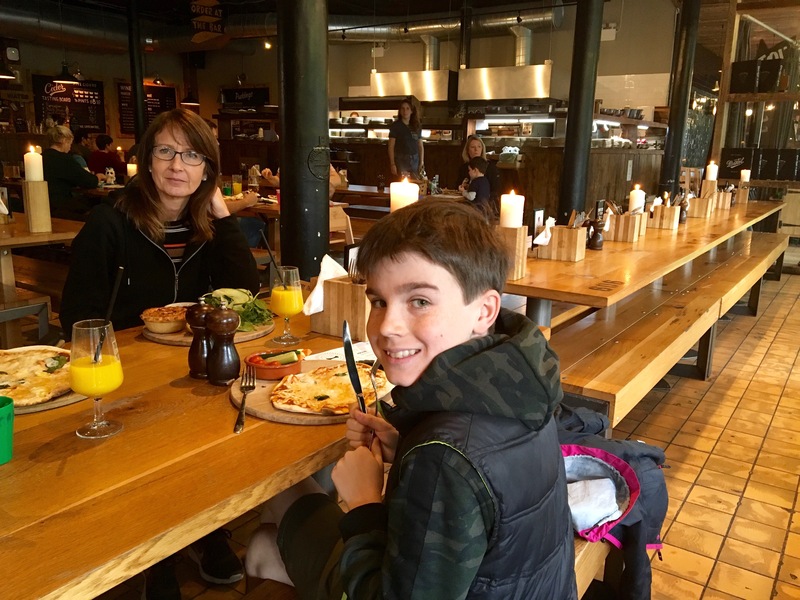 We were suitably impressed by a recent visit to The Stable’s Bristol branch, just one of 17 restaurants the company – which specialises in pizzas, pies and cider – operates throughout the south of England. The first restaurant opened its doors in 2009 in the Dorset town of Bridport; the owners, who had just renovated a hotel, wanted to convert connected outbuildings and a stable into an eatery where people could enjoy good local produce. 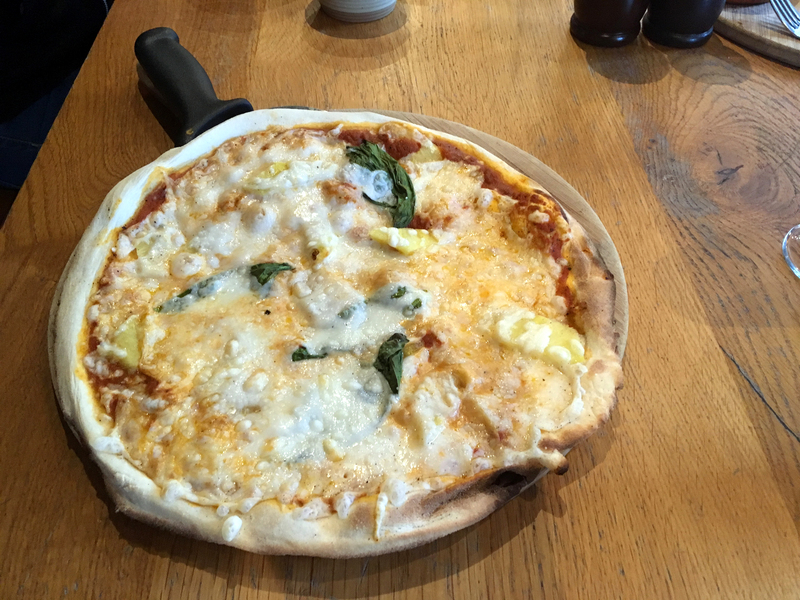 So, they launched the company selling British-made pizzas with sourdough bases, focusing on less traditional toppings; also, with locally-made cider being readily available, this become a staple on the menu, too. 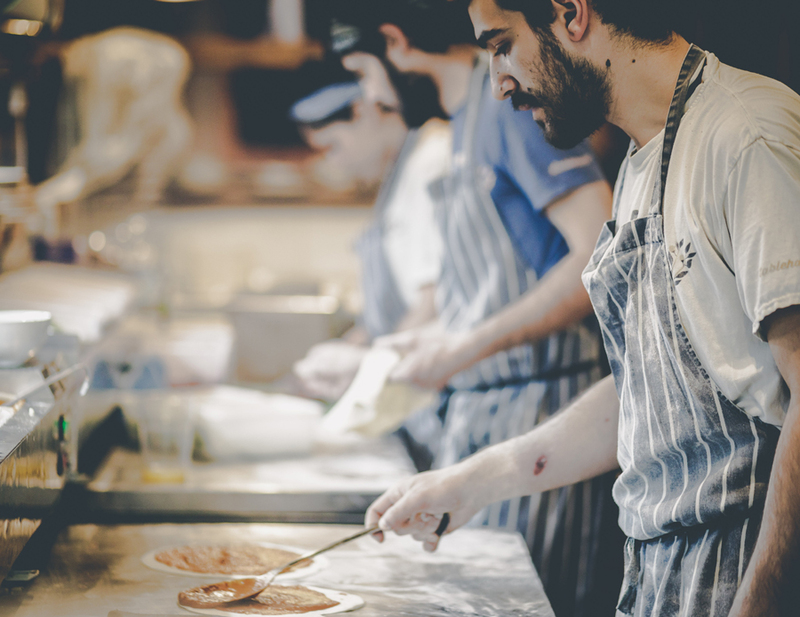 The company quickly grew and in order to maintain the concept of “locally sourced” produce, each restaurant launched its own unique menu. 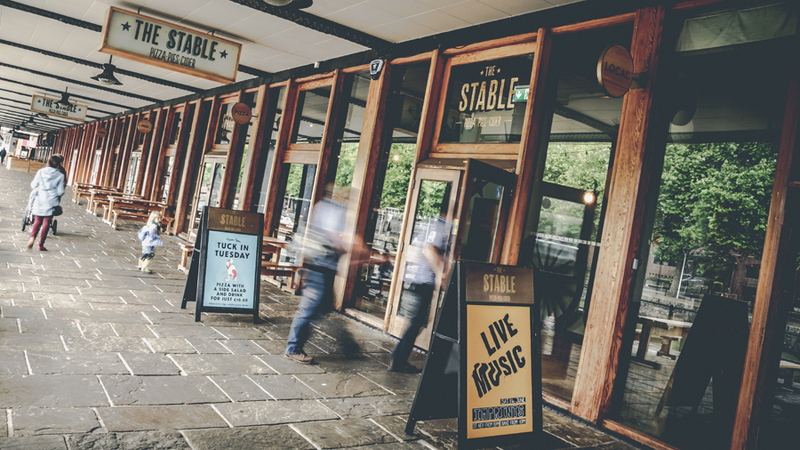 The Bristol restaurant is situated inside a former warehouse in the modern Watershed complex on the Harbourside. The interior is very rustic with long bench-style seating, large panoramic windows and plenty of outside seating – certainly an ideal place to enjoy a meal. They must be doing things right because it’s clearly very popular. We arrived just before noon on a Saturday when the restaurant was fairly quiet, but within 20 minutes the place was packed with families, couples and groups. I was keen to sample the vegan margherita pizza whereas, Paula, being the only meat-eater among us, tried The Wild Rooster Pie. Peter, who’s 11, chose from a dedicated kids’ menu. All meals were attractively presented and extremely tasty. Paula was particularly pleased to find the pie was a “proper pie” with both top and bottom! With over 80 types of cider available at each branch, I couldn’t resist sampling a few. 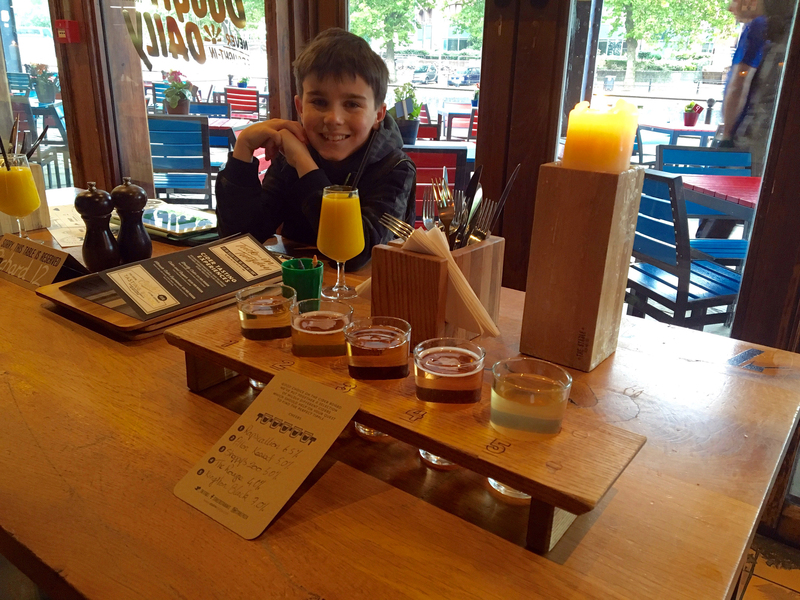 The restaurants actually offer a choice of Cider Tasting Experiences where Cider Masters teach you about the cider-making process while you try a selection of the best ciders on offer. Alternatively, you can pay for a selection of tasters to be brought to you table, which is what I did. It’s been a long time since I’ve drunk cider and it was interesting finding out how diverse the five samples were. This certainly makes for an intriguing addition to the dining experience! Overall, it was a great meal in a lovely setting with first-class service – what more could you ask for? We’d highly recommend a visit.